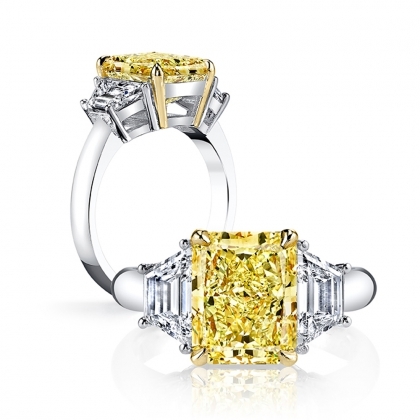 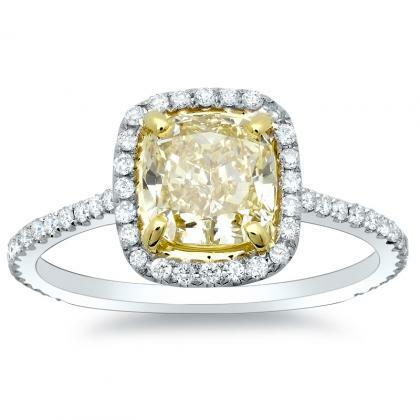 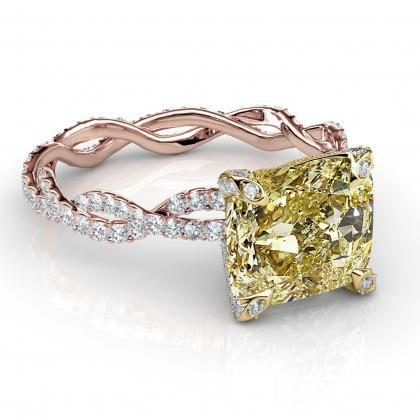 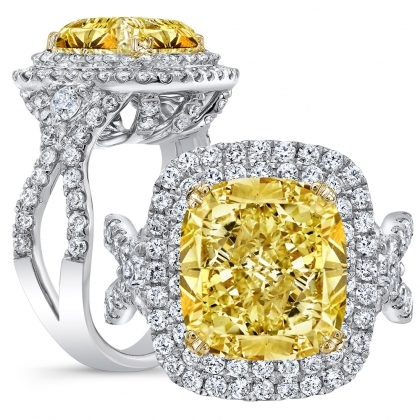 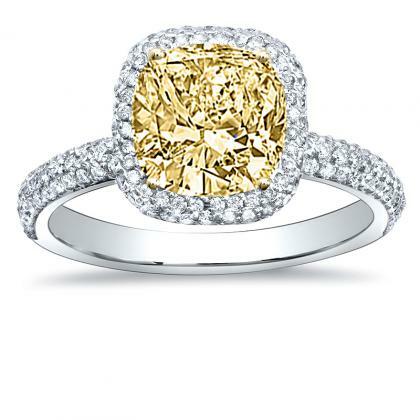 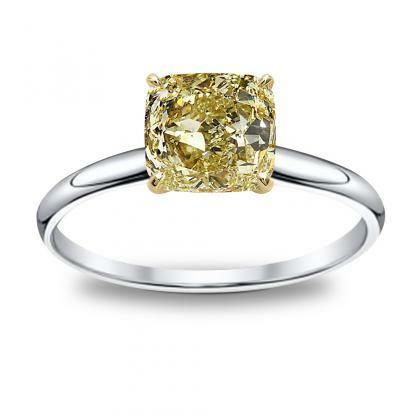 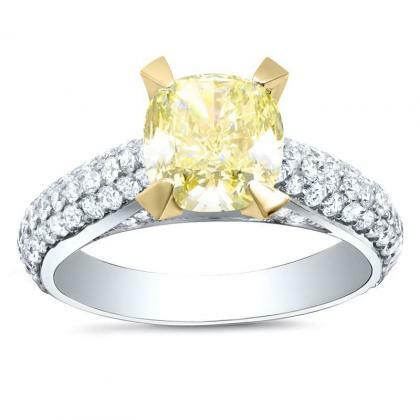 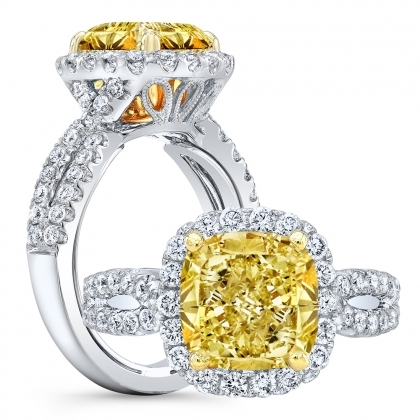 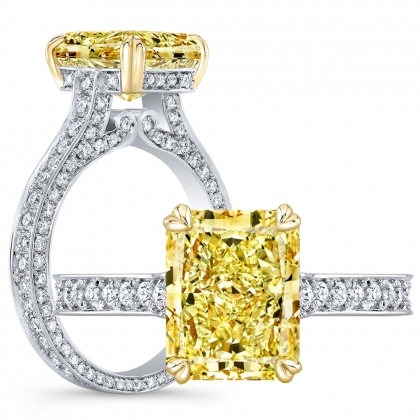 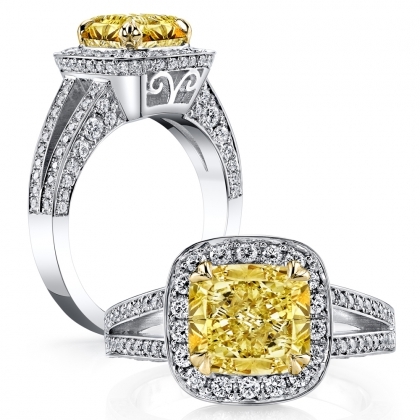 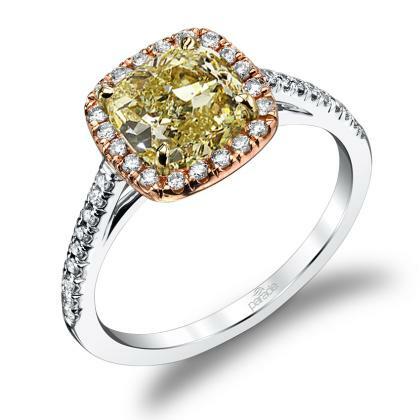 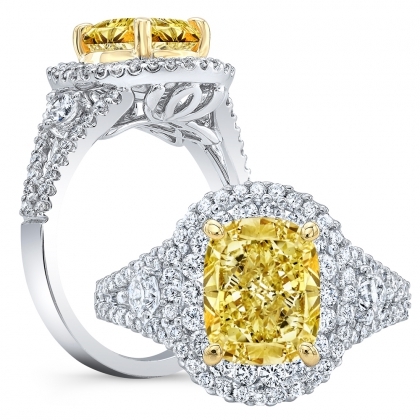 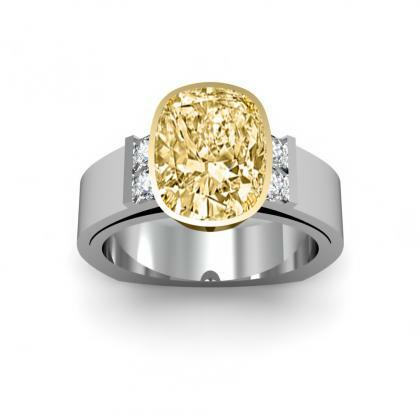 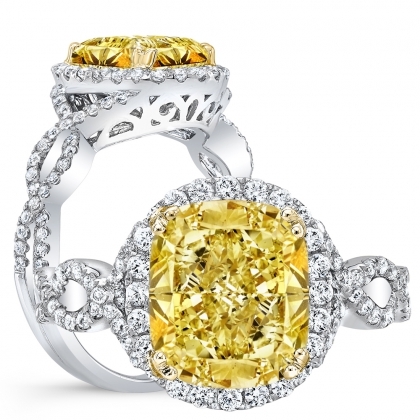 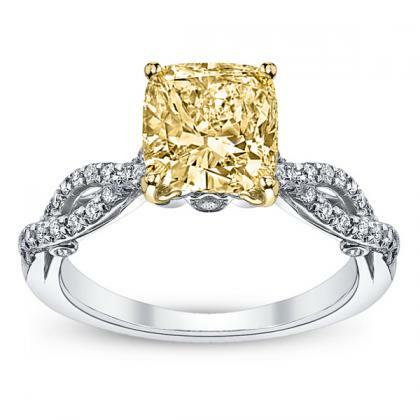 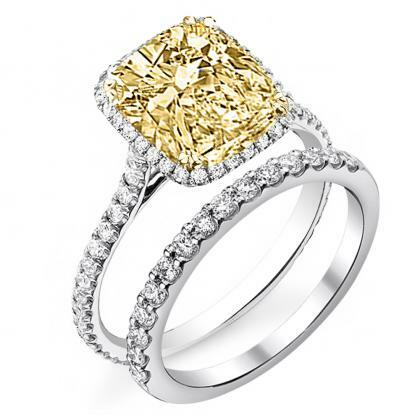 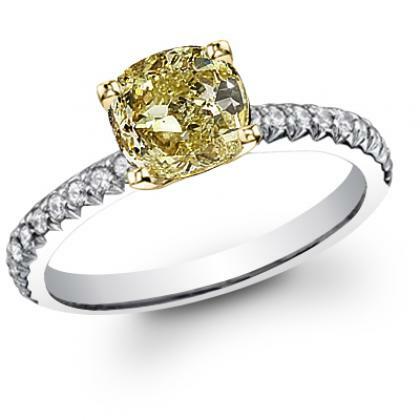 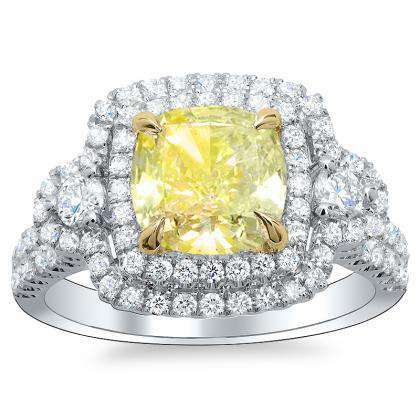 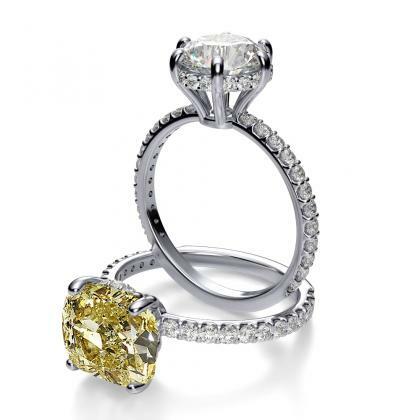 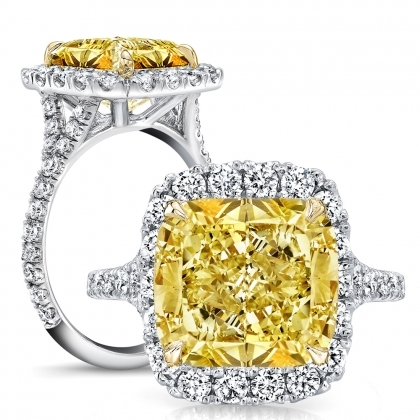 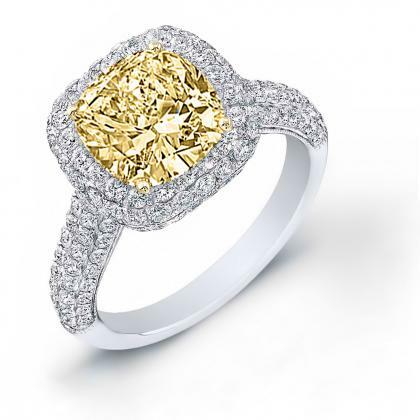 Yellow diamond engagement rings have been popularized by celebrities who have been choosing them over white diamonds. 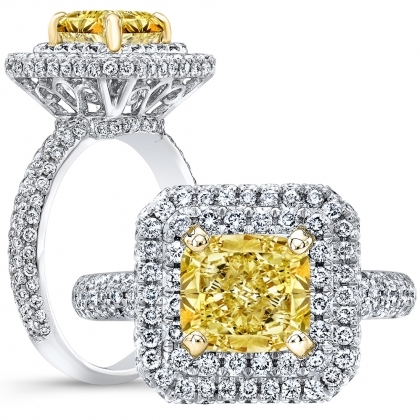 Overall, yellow diamonds look best when cut in cushion and radiant shapes because fancy color is more difficult to see color in round brilliant shapes. 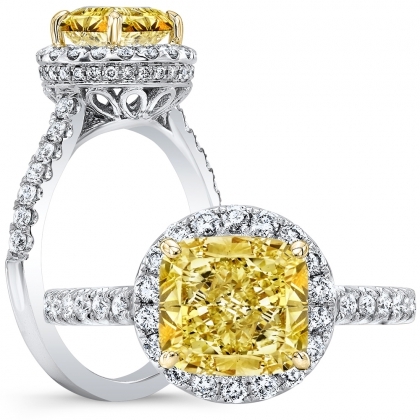 In addition, yellow diamonds can be found in many shapes, from faint yellow to vivid yellow, which is the most rare and prized. 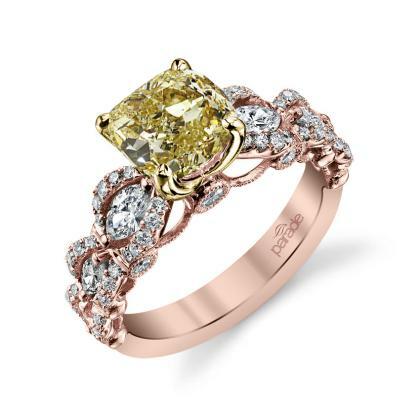 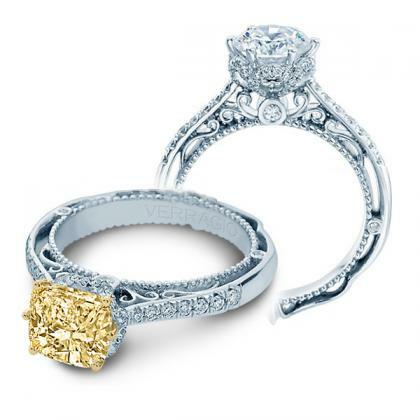 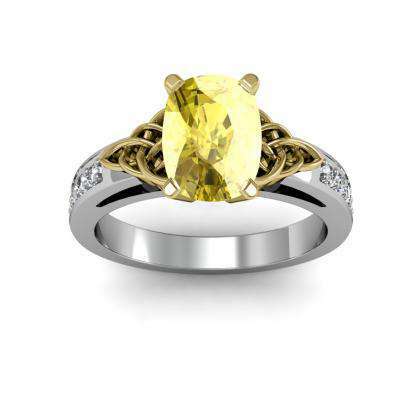 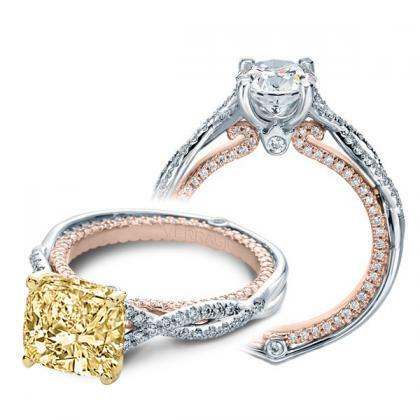 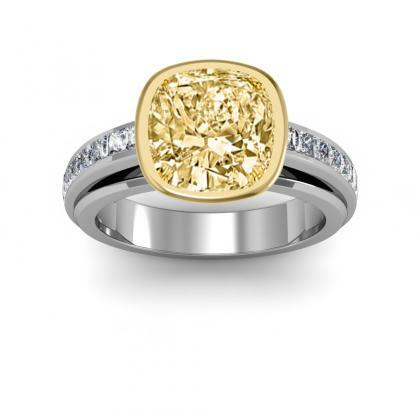 Some people choose to set yellow diamonds in yellow gold settings to further highlight the color, but other people enjoy the contrast of white gold against the yellow diamond.